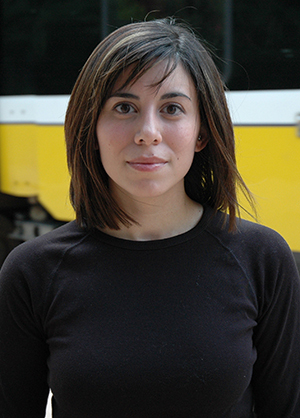 Even in high school, Cristina Henríquez was already thinking about being a writer. During a campus visit to Northwestern, she sat in on an English class and found the fuel for this emerging idea. “This was everything I’d been waiting for my whole life. By the time we left, I knew I would apply,” Henríquez remembers. The daughter of a Panamanian father and an American mother, Henríquez majored in English at the College. “I took my first fiction class, and our first writing assignment was a three-page story. I loved writing dialogue and creating momentum in the narrative,” she recalls. Today, Henríquez travels the country speaking about her third novel, The Book of Unknown Americans (Alfred A. Knopf, 2014). The love story about immigrant Latino teenagers set in Delaware has struck a chord with readers. High schools, universities and entire towns have chosen it as their community read. “At Northwestern, I realized I had this fire within me and the commitment to stick with it,” Henríquez says.